In the world of parenting, there is an ongoing debate about the effects of computer games on our children. A number of studies have investigated the matter. The conclusions show what most of us intuitively know: The computer games definitely have some positive aspects, but spending too much time in front of the screen can have detrimental consequences on the emotional development of a child. The studies suggest that the time kids spend on the computer should be monitored and limited. Now, you might be wondering why are we mentioning computer games on a chess website. Well, it would appear that the effects of the computer games for kids are quite similar to the effects chess on computer has on our children. In many aspects, chess on computer becomes as any another (strategy) game on computer. In the 21st century, chess has undergone revolutionary changes. The development of strong computer engines and databases have had a major effect on our ancient game. • It has affected the way chess is played. • It has affected the way chess is kibitzed. • But most importantly, it has affected the way chess is learned. The main reason is the accessibility of information. Nowadays, chess engines allow everyone to find out the objective chess truth about a certain move and position. 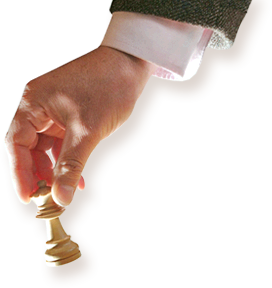 Chess databases allow us to quickly scan through millions of games and opening lines. Never before was chess so approachable, especially to youngsters and children. Alas, everything good comes with a price. Although computers bring numerous benefits, there is also a number of downsides. In this article, we will look at both pros and cons of computer chess for kids. Allow us to start with the good aspects. As we have already pointed out – spending time on the computer and being engaged with chess-related activities has benefits for children. In the 21st century, chess on top of the world is dominated by youngsters. Despite the efforts of players such as Kramnik or Anand, the vast majority of the world's top 100 is younger than 30. Also, the barrier to reaching chess mastery keeps moving forward. The number and the strength of chess child prodigies are increasing on a yearly basis. Computer engines and databases are the main culprits. They have presented youngsters with an opportunity to absorb a huge amount of information in a short amount of time – something they are really good at. Compared to Robert James Fischer, who had to plow through a dozen of books, a modern kid merely has to click his mouse a couple of times to gain a very similar amount of data. Computer programs can trasnform chess into funny games. One of the advantages of computers is the ability to turn anything into a game. And the chessboard presents creative individuals with an abundance of opportunities to create mini-games. For instance – collecting fruit on different squares using solely your knight is a game derived from chess. Although not exactly for the serious chess students, a different number of chess apps or programs make learning and playing chess an accessible and fun activity. 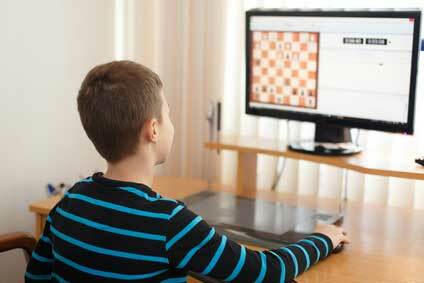 Computers allow kids to play chess more frequently. In the past, you had to find the time, the place and a suitable opponent to play a chess game. That could take months. Nowadays, everything is much easier – you log into your account and immediately find an opponent. And not just any opponent, but the one suitable for your playing strength and preferred time control (blitz, bullet, rapid, or classic). However, online blitz can be as addicting as any other game on computer. Playing blitz online will hardly improve your or your child's chess. Fast chess, without proper time to think, will make you repeat the same patterns over and over. Vladimir Kramnik calls it "training for the hand"... Our definite advice is to limit the time spent online for blitz chess games to a maximum of 2 hours a week. No more. We have already written in the previous article about dangers and pitfalls of computer chess engines. Let us emphasize the main point once again: Computers don't improve your understanding of the game because they don't show you the ideas in a certain position or opening line. It is of crucial importance to read chess books, work with chess trainers and, in general, use your own brain. Grandmaster Package is like a collection of chess books with the support of professional chess trainers! Every chess prodigy worked a lot using only the board and the pieces and only started using the engines more intensively once they reached a certain understanding. For instance, during the Zalakaros 2016 open tournament, I played against 12-year-old talent Alex Krstulović, European U12 vice-champion. After the game, he told me he has two trainers, one for middlegame and the other for the endgame. Both trainers strictly forbade him to rely only on the engines. Chess computers are terrible opponents. If you ever played a computer game, you have surely realized how bad AI sometimes is. Things are quite similar when it comes to chess engines. On lower levels, most engines will play absurd and silly moves and you will beat them quite easily. On higher levels, they are way too strong - getting mercilessly crushed might affect your kid's motivation to continue playing. Human opponents are terrible humans. Anyone who has ever played chess on internet should be aware of how rude strangers can be. Chess is not an exception. Handling a defeat in chess can be quite difficult and a number of people decide to vent their frustration in a very uncivilized manner. It can leave a lasting mark on your children. Even worse, they might accept it as a social norm and start doing the same. For the development of the social skill set, it is important that children spend the time around their peers. According to one study, kids who spent an excessive amount of time playing computer games had lower social skills than those who didn't. We could debate whether chess in real life is the most social activity. But one thing is certain – it is definitely more social than computer chess, where you don't even see your opponent. Or where you move the pieces on virtual board in the solitude of your room. Spending too much time in front of the screen inhibits emotional development. Tightly connected to the previous point - apart from hindering the development of the social abilities, computers also inhibit the emotional development of a child. One study demonstrated that kids who didn't stare at the screen for five days in a row were significantly better at reading human emotions. A chess career can impact a normal childhood. Finally, although computers offer your kids tremendous opportunities, it is worth remembering that the price for a successful chess career might be the lack of a normal childhood. Life of a chess player is very intense and boemic – it involves constant travelling. It is hard to maintain friendships and normal life when you are constantly traveling. Sure, if your child becomes a grandmaster, it might pay off in the long run, but what if they don't make it to the top? All in all, computer chess for kids has both positive and negative sides. It is hard to say definitely whether the pros outweigh the cons or vice versa. Probably the best rule of thumb to follow is the old golden mean principle. The balance of controlling the technology, instead of letting the technology control you, is the key. Banning your children from accessing the computer makes no sense, but you also shouldn't let things get out of control. If your children spend a moderate amount of time „plugged in“, the pros will be more pronounced than the cons. And that is probably true about anything related to computer and technology. Not just computer chess.